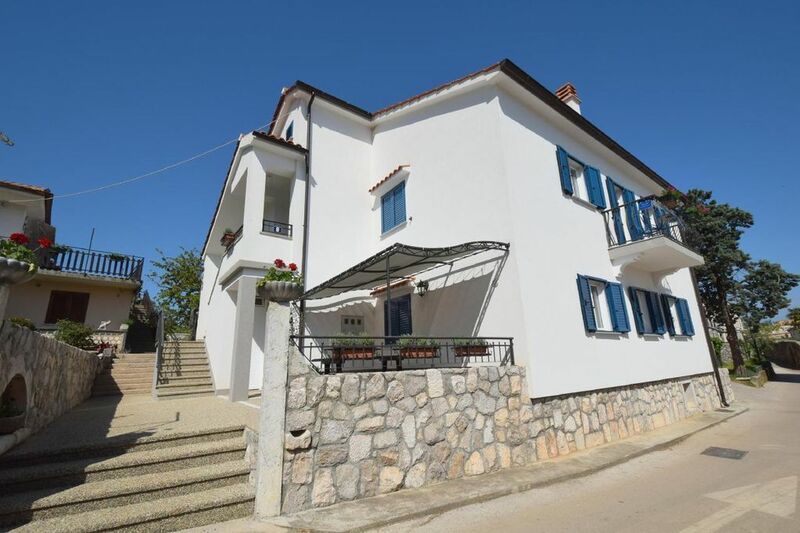 This functionally renewed house is located in the center of picturesque fisherman's village Porat. This apartment is situated on the first floor and has two double bedrooms, living room with kitchen, bathroom with tube and balcony. TV-SAT, WiFi, air conditioning and parking are available to guests. Pets are allowed here. The house is only few steps from the marina, wine cellars and restaurants with traditional food and wines of the island. Distance from the beach is about 400 meters. There is a big parking place in the back yard. - General: per object and day Costs amounting to 11 EUR (Mandatory). Parking facilities (per property and day, included in price 0 EUR). Pet (per property and day, included in price 5 EUR).